Alcatraz, home of America’s most notorious criminals: Al Capone, Robert “Birdman” Stroud, George “Machine Gun” Kelly, Mickey Cohen, and “Bumpy” Johnson to name a few, was a maximum security prison designed to hold prisoners that continuously caused trouble at other federal prisons. A “last resort prison” if you will. This three-story cell house was divided into four main blocks, A-block, B-block, C-block, and D-block. Other units included the warden’s office, visitation room, library and the barber shop. Prison cells typically measured 9 feet by 5 feet and measured 7 feet from top to bottom. 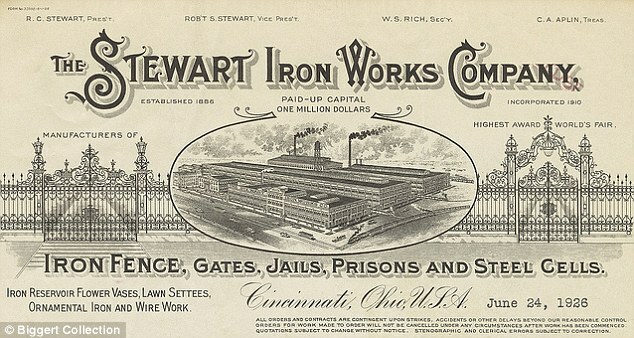 But did you know that Stewart Iron Works built the original cell fronts? That’s pretty cool, right? I thought so too. The main cell house has been around since the 1860’s, but in April 1934, the new three-story cell house (originally built in 1910) was refurbished. The prison removed all of the old material and installed 269 cell fronts ordered from yours truly, Stewart Iron Works. Rumor has it that while transporting the shipment of cells, a portion of the iron material accidently fell into the San Francisco Bay and unfortunately resulted in material having to be reordered. Whoops! 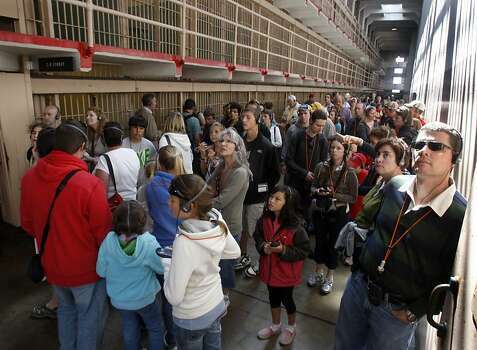 Today Alcatraz is used as a museum, and has turned into one of San Francisco’s largest tourist attractions. It is estimated to attract around 1.5 million visitors annually! It’s really cool when I research the history of Stewart and find that this ‘museum’ that once housed America’s most notorious bank robbers, gangsters and murderer’s, has become one of Stewart’s greatest endeavors. ← Stewart Iron Works opened the gates to the west…literally!